Senior Consultant, Speaker, Entrepreneur, Japanese Culture and Art Connoisseur with over 20 years of experience in business development in finance & IT sectors, investment, making cultural bridges in global organisations and societies. Her aim is to help European individuals to have deeper understanding of Japanese cultures and share its wisdom and beauty, with the vision to create peace beyond cultures. 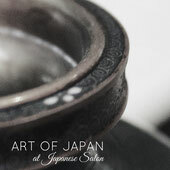 Born in Japan, grew up with traditional Japanese values and aesthetics through cultural practices. Came to UK at the age of 21 to pursue her study and research on inter cultural communication and immersed into European way of life and started living combining the real essence of both cultures - "hybrid life". Based in Bussum, the Netherlands, working global. She is popularly known in the Netherlands as an inspiring public speaker for Japanese culture and mindfulness for business, as spoke at TEDx twice and appeared on number of TV and radio programs both in the Nethelrands and Ireland over her last 23 years of her life in Europe. She is actively involved in non profit sector as well as an advisor and initiator in cultural and art project in Europe and in Japan. She founded charity foundation to support midwife association of Japan to help mothers and babies after the earthquake and tsunami in 2011. Azumi is a business owner and also currently serves for other organisations. To request a full CV, or seminar, speech, consulting, please click below.